The chief Washington correspondent for CNBC took the president and his son to task on Thursday, issuing out tweets in which he corrected previous statements the two have made about a supposed booming economy. Last Friday, President Donald Trump tweeted, in all capital letters, that recently released government numbers demonstrated a stellar year for gross domestic product (GDP) growth in 2018 under his watch. “3.1 GDP FOR THE YEAR, BEST NUMBER IN 14 YEARS!” Trump wrote. That wasn’t the case, unfortunately. As CNBC’s John Harwood pointed out, revised numbers brought the yearly growth rate down to 2.97 percent over the past year, similar to what was seen under former President Barack Obama in 2015. Harwood didn’t stop there, however, and decided to “fact check” a statement written out by Trump’s son, Donald Trump Jr., in which the president’s eldest child tried to chastise a speech given by Obama during the midterm election campaign last fall. Obama had, during that speech in October, suggested Trump’s economic prowess wasn’t as strong as the current president was making it out to be. “When you hear all this talk about economic miracles, remember who started it,” Obama said, implying that Trump inherited from him an already improving economy. Unfortunately for the president’s son, in his comments attacking Obama for supposedly saying something dumb, it seemed Trump Jr. himself exposed his own ignorances, as Harwood pointed out in his tweet “updating” his “abracadabra” commentary. 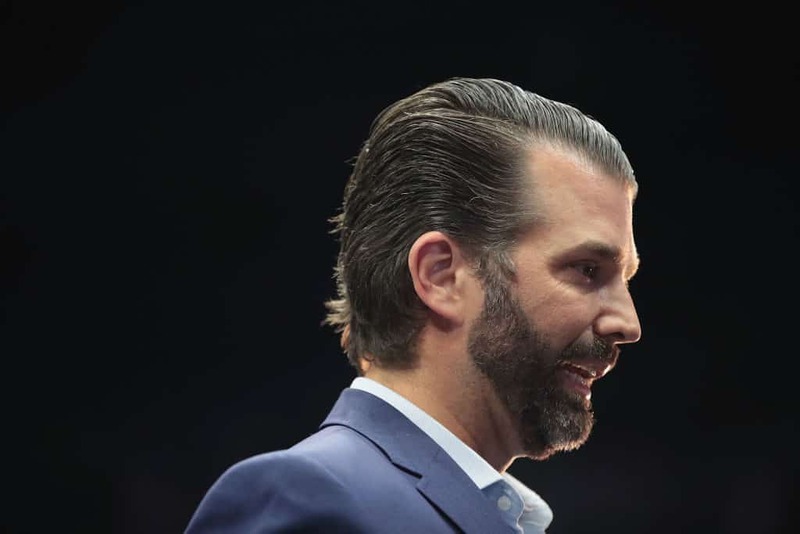 The 4.2 percent figure Trump Jr. cited was not a yearly number, but rather a quarterly growth rate, Harwood explained. And as the year went by, the numbers for 2018 sank lower and lower. At least for Trump Sr., his mistake was simple, in that he cited numbers before they had been officially updated and finalized. But Trump Jr. apparently looked at quartlerly numbers and exposed his own ignorance on the matter, wrongly believing them to be yearly figures. That’s hard to defend or come back from. In fact, far from reaching the 4 percent promise he made, the economy under Trump’s watch hasn’t yet breached 3 percent yearly GDP growth. Even as numbers were recently revised down, the White House continued to be optimistic for 2019. The Trump administration predicted a 3.2 percent growth for this year, although most economists believe the rate will be closer to being between 2.0 percent and 2.5 percent, per reporting from the Washington Post.